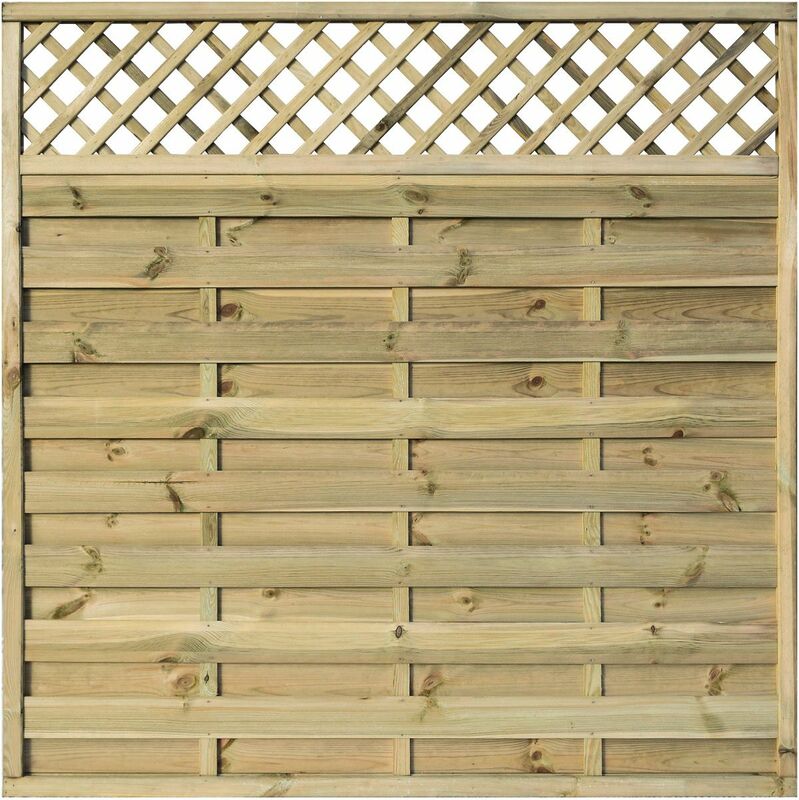 The Halkin wooden fence panel design is perhaps one of our most elegant styles thanks to the horizontal boarded pattern combined with a timeless diagonal trellis top portion and as such will make a bolt and stunning statement to any residential garden. 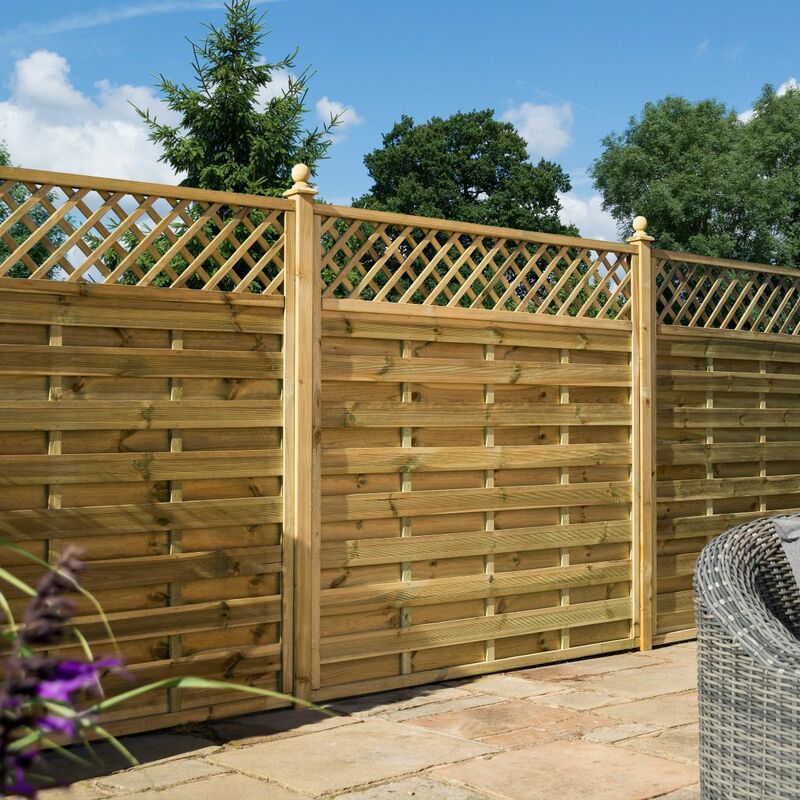 Available to order online in a choice of sizes the fence panels are pressure treated for excellent protection against the elements whilst and the solid continental type construction offers greater resistance to high winds making them the perfect choice for exposed areas. Please note you will need to order a minimum of 3 x panels to qualify for home delivery. You are free mix and match between the Halkin size options to meet this criteria.